Providing you the best range of designer waterproof membrane, swimming pool liner and swimming pool membrane with effective & timely delivery. RENOLIT ALKORPLAN 1.5mm Thickness membrane provide attractive appearance, reasonable price, fast and easy installation and absolute water-tightness, guaranteed for 10years, have made it the most widely-used pool waterproofing system in the world. 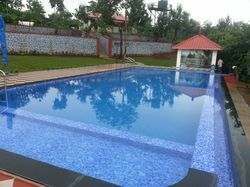 For the complete customer satisfaction, we offer the Swimming Pool Liner Membrane which are developed by our competent persons by consuming optimum grade components including updated technology. 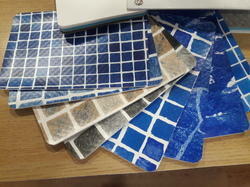 These designs are cut according to your choice and colorfully assembled. SWIMWELL is offering the RENOLIT ALKORPLAN 1.5MM THICK Reinforced pool membrane to enhance your swimming pool. 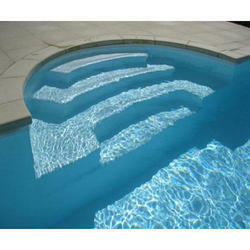 Reinforced membranes are the most widely used pool liners in the world. Nowadays, it is the most advantageous system on the marketand the one presents the fewest problems. Its attractive appearance, reasonable price, fast and easyinstallation and absolute water-tightness, guaranteed for 10years, have made it the most widely-used pool waterproofing system in the world.